Are you looking to build a new house or do a renovation in the Cochrane area? With over 400 projects completed over the years, we have the skill and knowledge to complete any vinyl siding or James hardieplank job. So whether your vinyl siding melted because it was too close to the bbq or you are building custom home. Viklund Contracting is the only call you need to make to get your siding job started today. Why Choose us for your next Vinyl Siding, James Hardie or Gutter replacement? Warranty: Up to 50 year 0n Vinyl siding and a 30 year transferable on James Hardie plank siding. We also give 5 years on the installation. Experienced Crews: We will be working on your house. (Yes you will have Shane and Natalie personally there doing the work) It is our name on the line, so we work side by side with our crews to make sure your exterior siding or eavestrough install go as smoothly as possible. Licensing: We are licensed, bonded and insured. Services we provide in Cochrane Alberta. James Hardie Siding: James Hardie board is our fiber-cement siding of choice. It looks great and is very durable. Remember those storms that we get here in Cochrane in the summer? What could be better than knowing that if a hail storm hit, that your most valuable purchase is protected. The fire rating is also amazing to say the least! Vinyl Siding: The affordable option. Vinyl Siding offers the durability the harsh Cochrane winters demand. It also looks good, with so many vinyl siding colors to choose from you can get the color that you always wanted. Its Low maintenance, so you can have the time to do the important things in life! Oh…. and a Great Warranty too…. up to 50 years! Eavestrough and Gutters: Gutters and Downspouts come in many different colors. We do seamless eavestrough so you can displace the rainwater on your Cochrane Home. Soffit and Fascia: Enhance the beauty of your Cochrane home with new Fascia and Soffit. Boost your curb appeal,do your renovation with a company you can trust… Viklund Contracting! 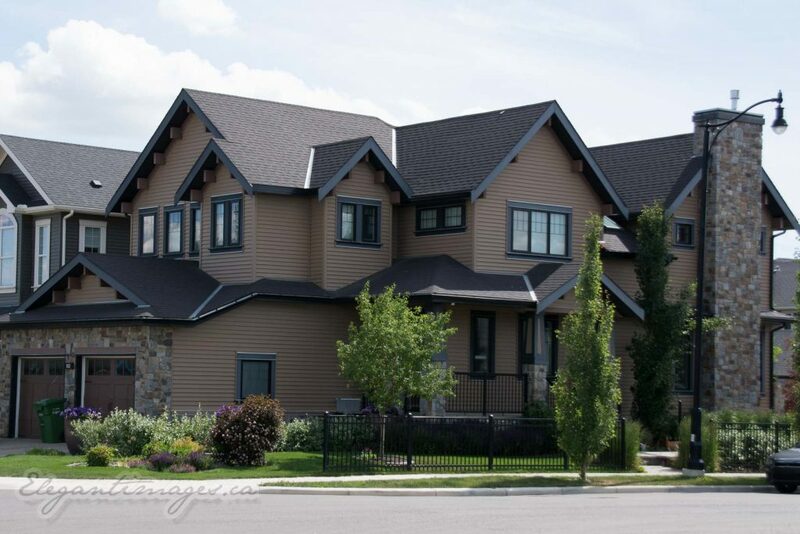 For All Of Your Hardie, Eavestrough and Vinyl Siding Needs in Cochrane. Call Viklund Contracting today at (403) 617-7280. Or fill out the contact form and we will get back to you as soon as possible to answer any questions you may have. We will set up an appointment to provide a free no obligation quote for your project.